Want it by Wednesday 24th April? Order within 3 days, 12 hours, 18 minutes and choose Royal Mail Tracked 24 Hour at checkout. This round neck jumper has been knitted using an intarsia technique in an enlarged pattern. 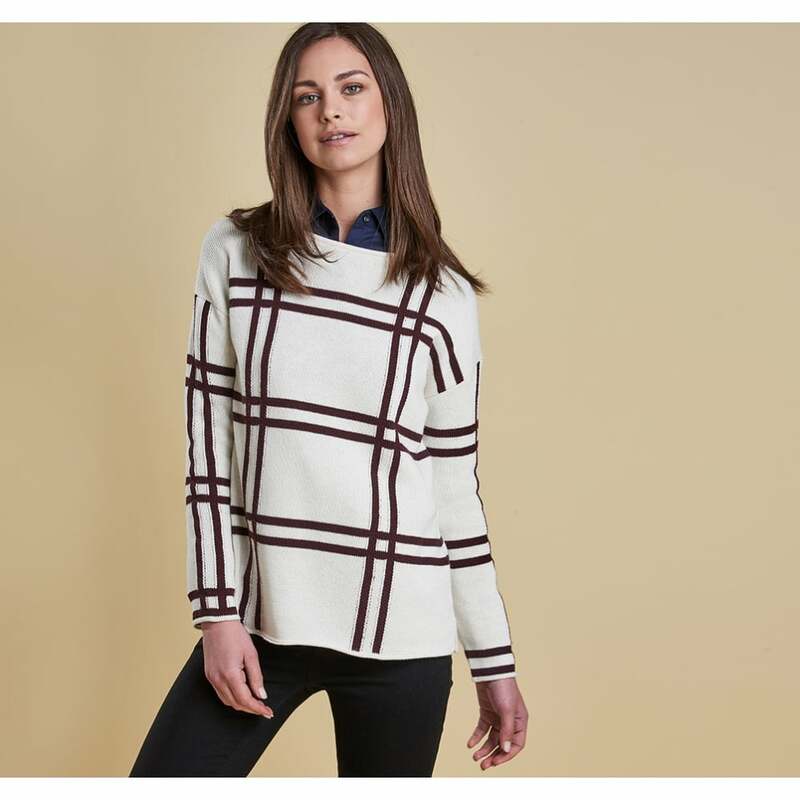 Created using sections of the Barbour tartan this jumper has a simplistic over-check design that would look perfect teamed with jeans and layered under a classic Barbour jacket. Finished with a delicate metal ID bar this jumper is sure to be your favourite winter warmer.